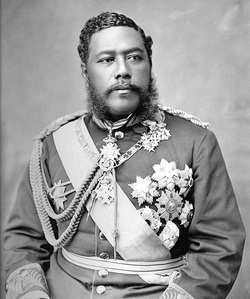 King Kalakaua was the last king of Hawaii and the second last Monarch. He is said to be the man who stopped the hula from disappearing completely. King Kalakaua was born on the 16th of November 1836 and he died on the 20th of January 1891. He got married once and had no children. He was buried on the 15th of February 1891.